Sounds like a good idea to me, too. And that's just been Princeton Field Guides, there may come many more contributions in the future. Varanus, that's an impressive list of field guides you already have of them. I didn't even know they made some that cover Australian herpetofauna! I agree as well, a field guide thread would be good. Do note though that only about half of those are Princeton (as shown in the parenthesis next to each), which is still a ton though! OK, sounds good! Would you like to repost the list? Or shall I? It's the best, wonderfully structured and most beautiful book on this topic that I've ever held in my hands . If you want photography this is the wrong book for you. It's filled with 1.500 remarkable illustrations selected from nearly 6.000 paintings of fishes Roger Swainston has created over the last 25 years. AWESOME ART ! ....... and I know what I'm talking about. The man is drop dead talented and hard-working. He cannot have done much of anything else during this period . Every family of fishes ever recorded from Australian waters (marine and freshwater fishes) is portrayed here. The names of all known species are listed alongside detailed information on the taxonomy and biology of each family. It's the PERFECT book ! This doesn't happen very often - everything is right. Unfortunately I don't have a scanner, but I could try to take pics if there is any interest. I know it's a very high price for Swainston's Fishes of Australia but 836 pages with excellent scientific drawings (I've read it's also 28*25 cm) is not outrageous. But it's too much for me, at least for the moment. That's a classic! The illustrations are very good, too. 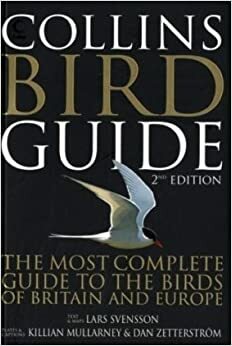 I recently bought Collins Bird Guide (2nd edition), The Most Complete Guide to The Birds of Britain and Europe, which I highly recommend. The list of species is exhaustive and the annotated illustrations, of which there are hundreds, are lovely, and informative. A very useful book for any European birdwatchers and really reasonably priced. It is on Amazon.co.uk here for 12 quid!